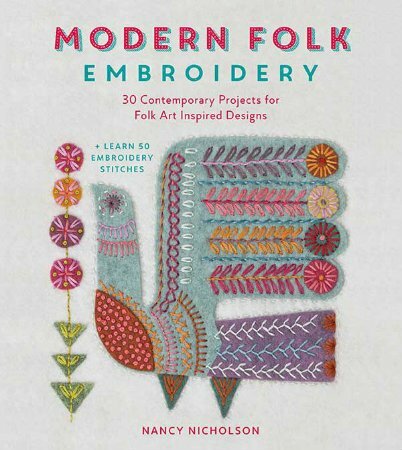 Folk art is influencing everything from fashion to interiors, and now you can incorporate this trend into your home in a contemporary way with this collection of stunning modern folk art inspired embroidery designs. This collection includes 20 embroidery designs with project ideas to show you how to use the designs to create beautiful and practical home decor items and accessories, including pincushions, lampshades, tote bags, pillows, table runners, coasters, and pinafores. Techniques for stitches and project instructions are shown using distinctive stitch diagrams and are easy to follow for stitchers of all ages and abilities.